Archives in Motion told the story of how Arkansas’s state records escaped, then returned to the capital city during the Civil War. A century and a half ago, Union troops advanced into Arkansas while the civil War raged across the South. IN the summer of 1862, as the conflict edged westward, Governor Henry Rector feared the Yankees would strike toward Little Rock from Searcy, so the state government moved temporarily to Hot Springs. This move required the state’s archives to be removed from the capital city and sent to a safe place. Ultimately, the records were moved to Hot Springs. 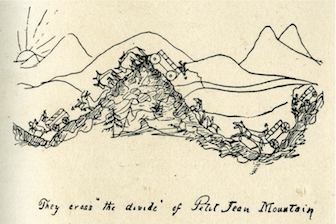 The round-about journey saw the archives loaded onto the steamboat Little Rock, shipped downriver, then back up as far as Dardanelle, loaded onto wagons, then transported around and through the Ouachita Mountains to Hot Springs. After a short time in the Spa City, the records and government workers returned to Little Rock, this time via the long-established stagecoach road. In September 1863, the Confederate state government again fled - this time to the Town of Washington, where it remained for the rest of the war. Parts of the archives of that day survive in the collections of the Arkansas History Commission and the Arkansas Secretary of State. Archives in Motion was a collaboration between the Secretary of State’s office and the Arkansas History Commission. It featured a selection of materials thought to have made the long trip to Hot Springs in 1862. Arkansas African American Legislators, 1868-1893, is a traveling exhibit produced by the Arkansas History Commission and Black History Commission of Arkansas. It was displayed in the Arkansas State Capitol throughout February 2012. The exhibit highlighted the 85 African-Americans who served in the Arkansas General Assembly during the last half of the nineteenth century. In 1868, Arkansas adopted a new constitution; its provisions included the right to vote and hold public office for black males. African American lawyers, merchants, ministers, educators, farmers, and other professionals served in the Arkansas General Assembly. Reproduction s of all surviving entries were featured in a special exhibit, Flying for the State, on display through Memorial Day weekend at the State Capitol.In 1912, Secretary of State Earle Hodges and the Pine Bluff chapter of the Daughters of the American Revolution sponsored a competition to design Arkansas’s first official state flag. Some 65 designs were submitted for consideration. The exhibit showcased the variety of imagery in the submissions. Several incorporated diamonds, whil others highlighted cotton, trees, apple blossoms or even bears. One distinctive design combined a yellow crescent moon with steamboats sailing on a river. Another featured a cotton boll on a field of blue, adorned with “I’ll Try, Sir!”, the motto of territorial governor James Miller. In the end, a simple elegant diamond design won over the selection committee. Created by Jefferson County schoolteacher Willie Kavanaugh Hocker, the flag incorporated multiple symbols: the colors of the U.S. flag; 25 stars in a diamond border to represent the state’s admission to the Union; a white diamond denoting the only diamonf-producing state—all symbols that still remain in the state flag familiar to us today. Miss Hocker’s design called for a row of three stars aligned int he center of the diamond, acknowledging the three nations that have ruled Arkansas and marking Arkansas as the third state created from the Louisiana Purchase. 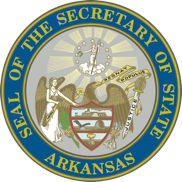 The selection committee modified the design to include the word “Arkansas.” On February 26, 1913, the state legislature approved it as the state’s official flag. Slight modifications were made within a few years, but the flag we fly proudly today has remained unchanged since 1924. The exhibit was presented by the Secretary of State’s office in conjunction with the Arkansas History Commission, which preserves the original entries in its collection. The summer exhibit highlighted the Country Doctor Museum, located in Lincoln, Arkansas. Vintage medical equipment from the museum’s collection provided an idea of what health care was like in the early twentieth century. The museum’s building was used by a series of three physicians from 1936 to 1973. It includes a house, office and clinic. At the museum, an iron lung, a delivery room and dental tools are on display. Video interviews provide a window to old-time medicine, nursing and pharmacology. Groups from the community meet at the museum to discuss past and present healthcare issues. The Capitol’s Christmas exhibit featured the return of one of the Capitol’s most popular holiday exhibits, the Land of Legos®. Intricate scenes in the first-floor display cases displayed the flexibility of the building-block system and the enthusiastic ingenuity of local Lego architects. The collection was on loan from Thomas Mears and family of Bauxite.